A company on the cutting edge of the SaaS Recruiting Software industry has seen substantial growth since its founding in 2008 thanks to its implementation of an embedded BI solution. But that growth didn’t come without challenges. In fact, analyzing their massive data pool via ASPX web forms required up to 80 working days to produce new reports for customers. As such, their BI Analyst was tasked with evaluating new solutions that would allow their customers to scale with faster time to insight. After implementing Sisense, the company has seen that daunting 80-day turn-around time drop to just three days—a 28x improvement in efficiency that’s a game changer for internal growth and a powerful differentiator in the recruiting software market. With Sisense, it now only takes one person a few days to create a custom dashboard or a dashboard that can be utilized by all of the clients. Suffering under an outdated, application-centric, homegrown reporting system, it took four people up to one month to generate a quality report. Looking for a better way, the organization’s BI Analyst set out to evaluate analytics solutions proposed by the Chief Product Officer and CEO. The bottleneck in the old system was severely impacting growth—those generating reports could not react quickly enough to requested changes. With a system running on top of an SQL Server and MongoDB, the old ASPX reporting system had to hit those databases up to 40 times before ultimately wrangling the data into something presentable. To further complicate the situation, many of the organization’s clients were old-school, and convincing them to use any kind of reporting solution posed a significant challenge. It was important to make this BI platform as easy to use and visually appealing as possible. With a directive to explore options to build a solution or buy a solution, the BI Analyst explored the possibility of developing an in house solution and ran through a half-dozen commercial solutions. Time after time, the solutions he found himself considering proved too difficult or time-consuming. In the end, it was a chance Google search that brought him to Sisense. Even though Sisense was a late-stage contender, the Analyst, an electrical engineer by trade with experience in pricing analytics, was immediately sold on Sisense’s ease of use and quality customer support. The fact that the implementation was so simple for him to take on as a project was a testament to the true value of partnering with Sisense. As previously mentioned, the customer base was accustomed to a less advanced solution, making ease of use tantamount for an effective rollout. Sisense’s OEM white labeling option was critical for them. They wanted to embed Sisense in their product to produce a seamless interface and a single, unified environment for their customers. During the initial rollout, customers were quick to understand what was possible with this new reporting interface. Customers were highly engaged in requesting additional features that were quick and easy for the BI Analyst to implement and that bolstered the solution for the final rollout. 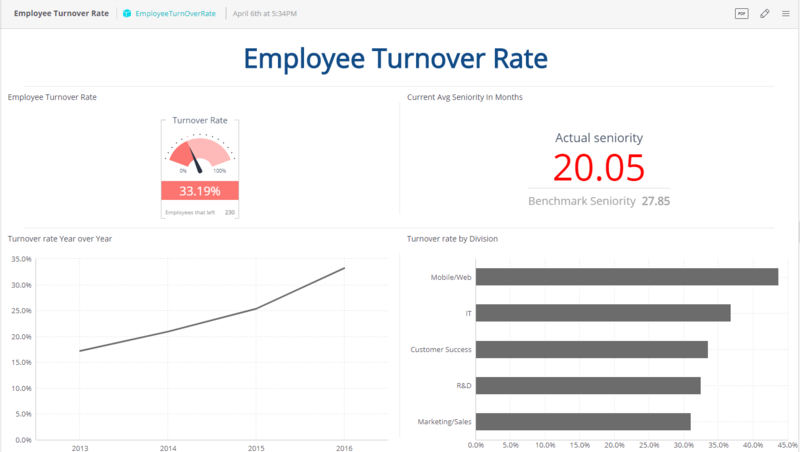 Customers can now easily see new reporting enhancements as they roll out and release cycles for developing new dashboards are quick and efficient—resulting in soaring rates of customer satisfaction. By rolling out a drill down functionality, customers are empowered to explore data independently, rather than navigating heavily populated dashboards with too many irrelevant options. One dashboard can be used by all customers, each with the ability to drill down their own paths in the data to get answers to their questions. And while their Sisense ElastiCubes contain over 70 million rows of data under the hood, their clients are blissfully unaware of what happens behind the scenes as they get their answers. For this company, the ability to drop new report development from 80 days to just 2-3 is the most compelling win, both for their internal BI team and their customers on the receiving end. Not only is information timely now, but any new request can be turned around in a reasonable timeframe. With nearly 100 customers currently onboard, the team is working to increase adoption among additional customers. Except for the initial requirements gathering, one Data Engineer is all that’s needed now to create new dashboards. And if the data isn’t already in the ElastiCube, it’s just a few quick steps to get it where it needs to be. Rapid time to insight, easily manageable data, and happy customers for the win!